Those are the words of one of the pioneers and true thought leaders of the people analytics space, Thomas Hedegaard Rasmussen, GM people analytics, insights and experience at National Australia Bank. It’s a refreshing sentiment to hear for those who rely (perhaps too much) on gut instinct to make decisions and are treading warily around big data and analytics. Rasmussen, who refers to himself as “an academic turned HR executive” commenced his career in HR at trade and logistics company A.P. Moller– Maersk Group, a global conglomerate of 120,000 people, following several years in academia. Following a seven-year stint at A.P. 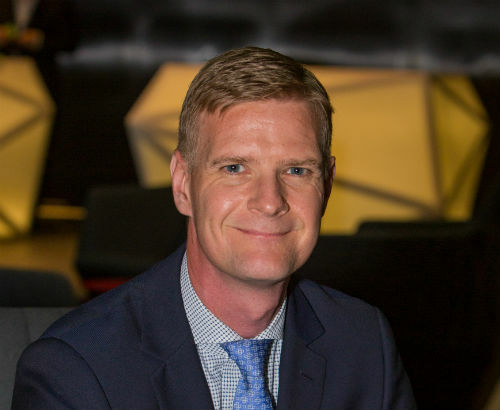 Moller–Maersk, he built and led the awardwinning HR analytics team at Shell. His seminal paper, co-authored with Dave Ulrich in 2015, was titled “How HR analytics avoids being a management fad”. “That was an outstanding experience because Dave Ulrich is incredibly inspiring. He’s very much about outside-in thinking, so you start with the customer, start with values, and work your way back towards what you actually need to do to impact customer satisfaction or return on equity or whatever the key desired outcome is,” Rasmussen says. He suggests this ‘outside-in’ approach also works with analytics. In other words, you start with what the business problem or business opportunity is and then work your way back and figure out which data sets could be used to analyse that area. Then you come up with helpful and pragmatic recommendations and implement those recommendations. Since joining NAB, Rasmussen has made analytics part of the HR infrastructure, helping HR to supplement intuition, experience and beliefs, and ultimately leading to more impactful people decisions. This work has included predictive modelling of attrition, monetising engagement’s impact on sales, and identifying the human factors driving customer satisfaction (NPS), and many other high-value analytics projects. On the Australian scene, Rasmussen has seen the full spectrum of analytics utilisation, from those just starting out on the journey but aspiring to do more, through to those already practising advanced people analytics. “Analytics is something we see in marketing, in finance, in operations. We see it in various parts of the business, and most HR functions have recently implemented new HR systems as well, so there is an abundance of data. There is an appetite for it and a feeling that you can somehow leverage this data and get more value from it. The question is how you do that,” he says. On that question, he says it really depends on your business. All meaningful analytics, he adds, starts by asking the right questions. There is also some ‘low-hanging fruit’ that most companies can get started with. One of these areas is looking at the impact of employee engagement on business-critical outcomes – financial outcomes or customer satisfaction outcomes, for example. For more sophisticated users of people analytics, Rasmussen suggests HR can go even further than using data to make forecasting decisions in areas like turnover and high-performance selection predictions. It’s possible to start looking beyond HR areas to what he terms “the value chain”. As for who’s best placed to undertake people analytics initiatives within HR teams, Rasmussen says the ideal mix is some people with HR backgrounds and others with subject matter expertise. Rasmussen is so passionate about boosting the analytics capability of Australian HR professionals that he has helped set up a free Workforce Analytics Network in partnership with Deloitte. The group, who hail from over 25 large Australian organisations, meets four times a year with the intention of sharing experiences and knowledge related to people analytics. Different organisations take turns hosting each get-together – and even traditional industry competitors will join the debate. NAB’s CHRO, Lorraine Murphy, will attend the next event and will be asking from the CHRO’s perspective what companies want from analytics, and what senior executive teams and boards want.